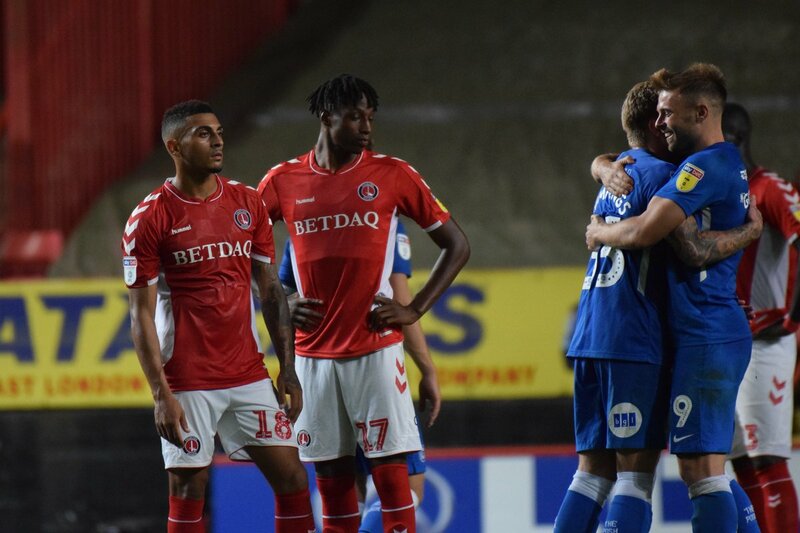 Frustration and late heart break again for Charlton. The Addicks lost at home for the first time this season thanks to a contentious late penalty in a game that provoked a huge amount of unhappiness with its officiating. A decent midweek battle played at a good pace looked to be fairly concluding with honours shared. However a late collision between Page and Toney saw the referee point to the spot. Fair to say with no exaggeration that Bowyer went batsh*t crazy at the officiating after the game. “I’ve played in the game many, many years and I know how my lads feel now and they don’t deserve it. I told them to look each other in the eye and respect each other because, at the end of the day, they’ve just given everything and they can hold their head up high. @ValleyGary : I’ll start with the bad. The officials were nothing more than a disgrace. I lost count of times the ref looked and the linesman and then he looked back at the ref, and neither had aclue what was going on. He ruined Morgan’s game with an early booking and Albie ended up pulling out of a few 50/50’s as he didn’t wanna get a second yellow. We did give away so many silly little fouls, lost count of the amount of free kicks they had in our half throughout the game. Obviously our lack of goals is a worry, the 1 shot on target being slightly misleading due to the amount of blocks from their players on the line or in the 6 yard box. We must be more clinical. Attacking set pieces. We are crying out for a decent taker. This isn’t Sunday league ffs, it’s not hard delivering a corner. Page should be taking them imo, his delivery from open play is usually decent. Positives. Obviously our work rate and that we didn’t look that far off a Peterborough team that have a 100% record and have done a lot of business. Bowyers substitution was proactive. Looked like we went to a 3-4-3 and Ajose did well when he come on. Pulled defenders out and there was some decent link up play between the front three and Aribo in the second half. Crowd did well but when there’s a bit of controversy and that fat lob is in their dugout, then you expect a reaction from the stands. All in all a decent performance and we deserved a point. No way will we go down and I expect a finish between 9th-14th. Demebele will probably be the best footballer down the Valley this season. Not just quick but skillfull and clever. A very good player at this level and I’d expect him to tear a few teams apart this season.